Synthetic biology, indigo is your color. Color is at the heart of our project here at Revolution Bio. Color makes things brighter, more fun, and more engaging. Color can also become a rallying point for people interested in building a common cause. The field of synthetic biology is fractured at the moment, with competing definitions and widely varied goals. We need a symbol that’s accessible and meaningful, one that welcomes people interested in the field and provides an umbrella for future discussions. A color with a story might be the place to start. Given that synthetic biology takes inspiration from nature and engineers beyond it, I think indigo might be the right color for this new field. Indigo is a deep blue dye originally derived from Indigofera plants – huge quantities of plants, as it makes up only about 0.5% of the plant leaf. However, you cannot extract indigo directly from plants, only the colorless, water-soluble precursor, indican. Indican must first hydrolyze to indoxyl, and then oxidize to become the molecule indigo. A variant of this molecular reaction is what turns your colonies blue when you do a blue-white screen during cloning. Being a striking and vibrant dye, indigo is in high demand. In the 19th century, demand drove intensive cultivation of Indigofera plants and contributed to the slave trade in India and the Americas. 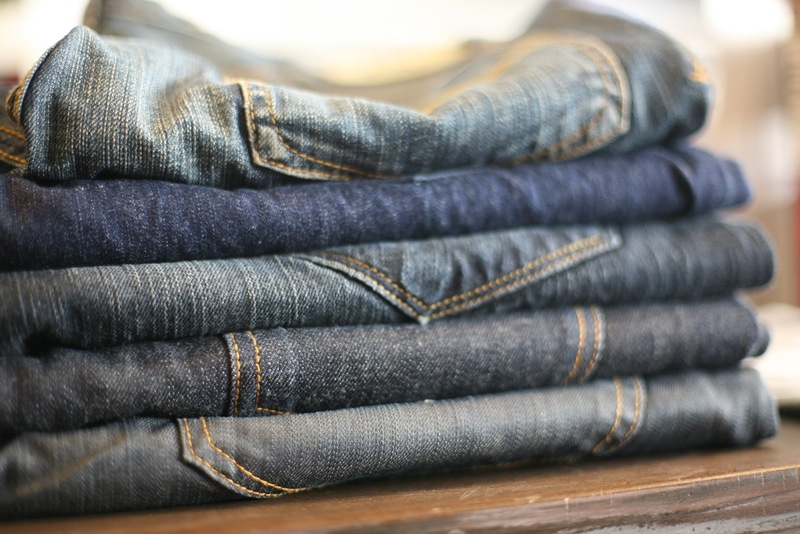 But even this dehumanizing, industrial production could not satisfy the demand for ‘blue gold.’ And so researchers began to look for ways to make synthetic indigo. Some limited progress was made through the 1800s towards a synthetic indigo, but it wasn’t until 1901 that the first industrially relevant process was put into use. Later that century, affordable synthetic indigo made blue fabric (and blue jeans) ubiquitous. The investigation into the best way to make synthetic indigo and indigo dyes is ongoing. It is challenging – indigo is not water soluble, and harsh chemical conversions are required to manufacture indoxyl and set the dye. Synthetic indigo manufacturing yields a product ten times cheaper than the natural plant based extractions. However, the natural dyes are still sought after though, for high-end fabric and cosmetic applications. The indigo arc– from a rare natural ingredient, through massive industrial production, to a renewed search for a better solution– is a common one, and I believe synthetic biology has a role to play in finding a better solution. Using engineering principles in combination with biological components to understand and improve the biochemical pathways in Indigofera we may be able to come full circle on indigo, developing an all-natural production platform that meets the global demand. Inspired by nature, engineered by people? Sounds like synthetic biology to me. What do you think? Does synthetic biology look good in indigo? When we were developing our scientific plan for this summer, we came to the logical and obvious conclusion that time was more important to us than money. Three months is a very short time frame to do meaningful science, and we believed that spending money (purchasing competent cells, synthesizing DNA, etc.) to gain time was the prudent choice. Our accelerator provided a few opportunities to save time, so we took advantage of all of them. First, we ordered our supplies through the university. We were told we would be receiving the university discount on all purchases, that they knew the suppliers for the area, that they had some pricing agreements we could capitalize on, and that we wouldn’t have to pay for shipping. Great! Next, we ordered approximately 10,000 basepairs of DNA through a bulk purchase with special pricing and rapid turnaround, as negotiated by an accelerator partner. That’s exactly what we needed, to save us time and kick start our project. We kept the 1 August deadline in mind when planning our experiments and our budget, and while it may have cost a bit more to order some items, we felt that it was a fair price to pay for the extra time. Things started to go wrong almost immediately. Irish regulatory approval hadn’t been obtained prior to our arrival, so we were unable to begin work for weeks. The reagents ordered through the university took weeks or months to show up. The price agreement for DNA synthesis wasn’t actually in place when the accelerator started, the accelerator group order took three weeks to put together, and ‘rapid synthesis’ ended up meaning about four weeks or so. While frustrating, we had planned some leeway into our timeline because something like this always happens. Because we had shown up with our own DNA and our own reagents, we could start working once the regulatory approval had come in. Last week things took a turn for the worse. We received our itemized invoice list for supplies and reagents, and it became apparent that there had been serious problems – our estimated $3000 budget had somehow exploded to $9000. We also learned we would have to extend our stay in Ireland for a month– an additional stress on a budget that was now stretched pretty thin. And worst of all, we found out that DNA sequences central to our scientific proof-of-concept had just been… forgotten. They were dropped from the gene synthesis order and we weren’t informed. At the heart of these problems is a lack of communication and a lack of oversight. With ordering, I failed to convey the importance of the budget to us and our goals for the summer. I made the assumption that reagent costs would be reasonably similar, but I didn’t ask follow up questions about costs, and the purchaser didn’t volunteer the information. Instead, reagents cost about 2.5x as much as they would in the US. Despite providing links and pricing for all reagents, I made the assumption that should there be a serious price discrepancy I would be notified and asked to determine the best course of action. I was not, and we received other items which cost thirty or fifty times their equivalent in the states. Thankfully, the university is now working with us to rectify the situation as much as possible, but much of the damage has already been done. With the accelerator, I did not fully account for the fact that the program is in its first year. I did not adequately plan for potential scheduling conflicts and bureaucratic hold ups , and I made the assumption that it was important to hold to that 1 August deadline. I didn’t continue to push for information regarding the schedule and as a result, we have been surprised several times by substantive changes to the proposed timeline, all of which have resulted in the commitment of more money than originally budgeted. And with the DNA synthesis, I made the assumption that this would be a straightforward order, conducted in much the same way that we would have done on our own, but with more favorable pricing terms. However, once again we did not communicate the importance of these items to our project, nor did we request the specifics of the synthesis agreement before committing to it. This particular lack of communication has cost us the time we hoped to buy at the beginning of the program. Without money or time, we now find ourselves working on a scientific Plan D to make something of this summer. It has been a painful lesson to learn, but at this point it has become abundantly clear that we failed to provide the appropriate oversight for our project. Entrepreneurs, do not be afraid to ask for updates every day. Be as persistent as necessary to identify pricing, timeline, and terms of partnership. Consider what happens if the partnership fails or if the contract is not fulfilled. And if it sounds like someone is offering exactly what you need, treat the offer with skepticism until you have proof that they can deliver exactly what it is you need. Your business, your project, will never be as important to anyone else as it is to you, and while it is necessary to build a good team, that team needs to be selected based on first-hand experience of the competence and ability of your partners. Revolution has just learned an expensive lesson. But this experience has shaped our team, helping us understand that we already had the expertise to do the best possible job in meeting scientific challenges. And, it has given us a lens to evaluate opportunities with a critical eye. We won’t make the same mistakes twice.